If you've poured your heart and soul into creating a website or blog only to find it doesn't get the traffic it deserves, you're not alone. Getting visitors to your website isn't easy. you probably know you need to learn SEO but the trouble is there are so many SEO "gurus" slithering around you'd be forgiven for thinking. But the truth is that the basics of SEO are straightforward. 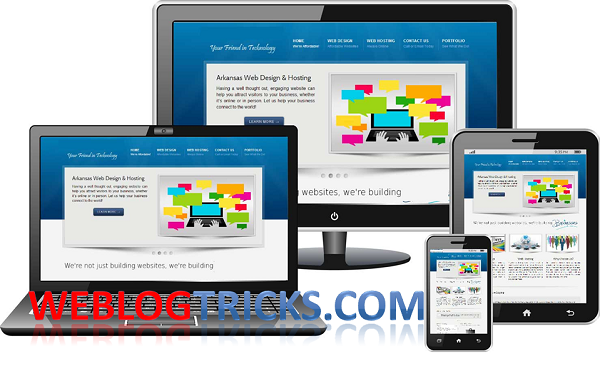 you can learn them and start seeing increased visits to your website within a week. The first step is to understand that the goal of search engines is to keep users coming back by consistently delivering useful search results. They do that by investing millions every year in developing algorithms to predict as accurately as possible which content users will find most useful in search results. Everything they do revolves around that objective. Create content real people love on subjects they're searching for and search engine traffic will follow. These actions are signals that Google and other search engines look for as quality indicators when deciding how high sites and pages should rank. The more users you have on your site taking one or more of these actions, the higher you will appear in search results. There are three main steps search engines take to decide which content should be promoted to the top of search results. They visit your site to create an index of the content to understand what individual pages are about, as well as the overall subject of your site. They count links from other sites and blogs as "votes" on the quality of the content. They count social shares - likes, tweets, etc. - as more "votes" for your content. Although search engine algorithms are a complex mix of hundreds of ranking factors, most aspects of search engine optimization fit into one of these areas. That's why this Post concentrates on those three vital areas. By the end of the Article. you'll be an expert in on-page SEO, link-building and getting the maximum amount of social shares for each piece of content you publish. Best of all, by using SEO Tools like Google Analytics and Google Search Console (previously called Google Webmaster Tools), you'll be able to see the success you're having in bringing in extra visitors and ranking for more keywords. There are two types of SEO. This Article is about White-hat SEO. It uses the honest Search Engine Optimization tips and techniques I've used to increase the rankings of my sites over the last 6 months. 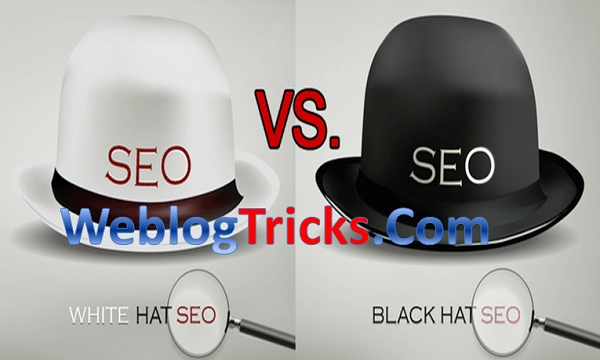 Black-hat SEO, on the other hand, uses tricks and tips loopholes to try to game the system and trick search engines into ranking a site as high as possible, regardless of the quality of the content. I'm sure you've seen ads promising a shortcut to page one of Google. Just buy Product adjust a few settings and wait a few days for a torrent of traffic. At worst, products like those are scams. At best, they're software that exploits a loophole. The problem with loopholes is that sooner or later, Google closes the loophole. Not so long ago, an easy way to improve rankings was to write a single article and then use software called an "article spinner" to create and submit slight variations of it to hundreds of different article directories. 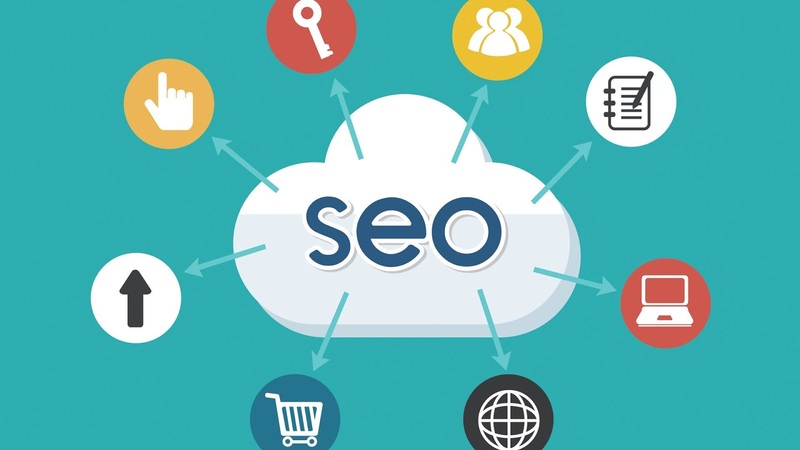 Within the content of the articles would link back to the author's site - generating hundred of backlinks in a short time, leading to better rankings. Overnight Google changed its algorithm. not only did it downgrade almost all article directories to junk status, but it also kicked sites using the article spinning trick out of its search results. years of work in an attempt to repair their rankings. That's why I recommend sticking to white-hat SEO techniques. They work and they're a safe, reliable long-term strategy. 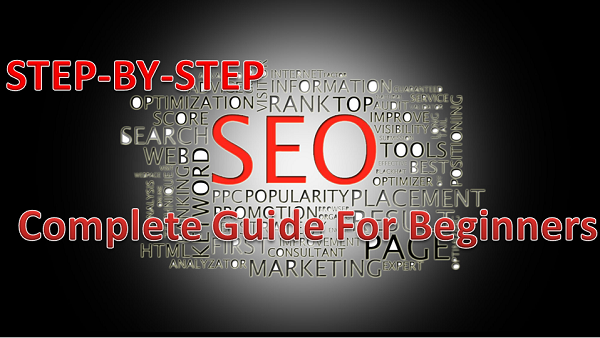 So now let's go to come Complete Guide to SEO for beginners how to start SEO so let's See Followings main steps. Great content is essential for a successful website, but if you write posts on subjects nobody searches for, you'll never get any real search engine traffic. That's why a smart search engine optimization strategy begins with choosing the best keywords. There's no point being on page one for a search term nobody uses. The significant number of monthly searches meaning there are plenty of potential search engine visitors. Low competition Indicating there aren't so many existing results that it will be difficult or impossible to rank highly for the term. Many people struggle with getting traffic to their site because they haven't researched their keywords correctly. Instead, they just guess. All are popular search terms, but the one with the largest search volume has over sixteen times more people using it each month than the next most popular. I don't know about you, but my guess would be "blogger". but at the time of writing, these were the actual numbers of people searching for each term every month on Google. That's why it's important to spend time researching keywords. it's often hard to guess what the most popular search terms are. Guessing incorrectly means you waste time and energy targeting keywords that have low search volume and so never bring you many visitors, even if you rank highly for them. There are a number of keyword research tools, but the most accurate and easy to use is the Google Keyword Planner. Important: You may have seen out-of-date guides recommend a different tool called the Google AdWords Keyword Tool the Keyword Planner replaces the AdWords Tool, which is no longer available. Keyword Planner is a free tool designed to help advertisers choose keywords when buying ads on AdSense, Google's advertising network. You can use the same information to discover the best keywords to target in your niche. Not just keywords you think people use, but the ones they really do. Because the Keyword Planner is only available to log in users, you'll need to create an AdWords account to use it. It's free and you can use the same account as the one you may already have for other Google services likes Gmail and AdSense. You don't have to actually have to spend money on an ad campaign to use the planner. Note: In some countries, Google now has two types of AdWords accounts: AdWords and AdWords Express. The keyword planner is only available with a full AdWords account, it's not accessible from an AdWords Express account. It's not identical to Google's keyword tool, but it's very similar. "In general, webmasters can improve the rank of their sites by creating high-quality sites that users will want to use and share." The quote above, taken from Google's Webmaster Guidelines, makes it clear how important content now is for SEO (Search Engine Optimization). At the heart of a site that works for both search engines and visitors is great content. Without that, no amount of SEO or social media marketing will help. Shareable Let's look at these in more detail. Not only does your content have to be something people will want to read, but it also has to be easy to read. good ways to boost readability include breaking up sub-topics within your content, using images and videos to help explain difficult concepts, and visually highlighting one or two quotable "sound bites" that illustrate key points. Avoid long, dense sentences and paragraphs. Short and punchy works best. Most visitors need information, check forums, online communities, and Q&A sites to find the questions people in your niche are asking. Providing clear answers with actionable points is a sure-fire way of creating content your target audience will love. It's also a highly effective SEO strategy. when you think about it, search engine queries are real questions and if people are asking something on a forum, they're also asking it on Google. Provide comprehensive, accurate answers and you'll rank highly. Getting content shared through social networks is vital for SEO. As well as being original and well-written, the posts that get shared the most also have a killer headline (one that's challenging, thought-provoking, shocking, funny, or intriguing), and a striking, relevant image. One of the best places to see compelling headlines in action is the content marketing blog Copyblogger.com. Take a look at the example headlines below, all taken from Copyblogger posts, and notice how each has both a clear subject and practically begs you to click it. Remember to be punchy and concise. You don't have unlimited space because search engines allow. Those are some pretty good numbers. Indispensable resources usually take the form of either a list post or an in-depth how-to. Take an aspect of your niche that people find difficult and create the most comprehensive tutorial there is on the subject. This could be an advanced topic or a fundamental skill that needs to be mastered before you can really become proficient at something. Include step-by-step instructions and walk the reader through the entire process. Use images and videos if they make the concept or skill you're explaining clearer. As with list posts, the aim is to come up with an absolutely compelling go-to resource. Am I using too many keywords? Am I using too few keywords? The rule for post titles is easy. use keyword phrases only once. for the actual content, it's a little more complicated. Keyword density is the percentage of words in your content that form a keyword phrase. Most SEO experts agree that the best keyword density is between 1 and 2 percent. That means that in an article of 600 words, somewhere between 6 and 12 words should be part of a keyword phrase. More than that makes content appear spammy; less and it may be difficult for search engines to accurately pick up what the content is about and you may not rank for some phrases. In most cases, just writing in a natural way will give you the kind of keyword density you need. That said, it's a good idea to check your keyword density falls within the range above. Any link to another part of the same site is called an internal link. As well as links you'd expect to find (within a site menu bar, for example) you can also create internal links by linking to past posts within newer ones. This is known to be a thing Google likes, so get into the habit of including links to related content. This also has the bonus of drawing readers deeper into your site by showing them links to pages they wouldn't otherwise have seen. Don't go overboard with your internal linking or you risk overwhelming the reader. One or two relevant links per post is usually a good maximum, with more in longer posts. 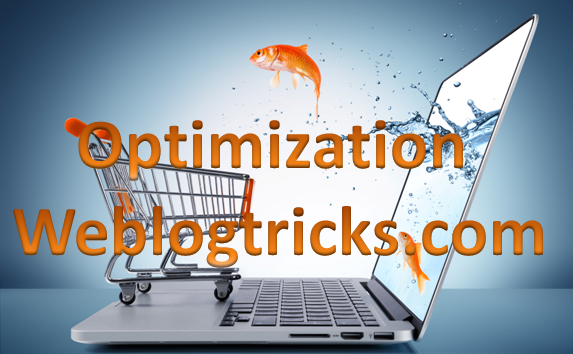 Linking out to other reputable sites in your niche is a strategy that pays off. And not just because Google likes it. 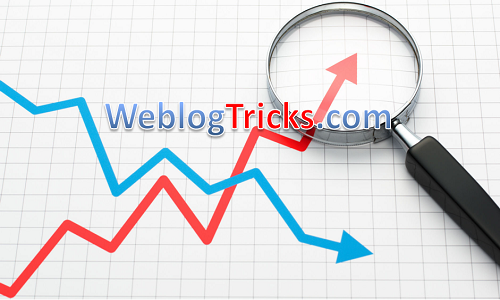 Most bloggers check their site stats regularly and notice when a new site starts sending them traffic. Often, they'll pay a visit out of curiosity and will try to find a way to repay you either by leaving a comment or by linking back to you. This happens a lot more than you might imagine, especially if you link to more than just the big sites in your niche. Smaller sites are usually one-person operations, so it's much easier to come to the attention of the content writer and get yourself a mention, a link and hopefully an ongoing relationship with a like-minded blogger. A core concept used by Google since its launch is PageRank. Simply put, the PageRank algorithm says the more links a page has from other pages on the web the higher it should rank. In other words, each link you get counts as a vote for your page. On top of that, the more links that pages linking to you have themselves, the more weight that vote is worth. That means your link building strategy should be to get as many links as possible from the most authoritative sites. Remember that PageRank is just one part of the whole Google algorithm. It's important, but building links to improve PageRank on its own won't catapult you to page one of Google. SEO success needs engaging content and social sharing as well. In the past, standard SEO advice was to get as many links as possible to your site, regardless of the source, and use the same anchor text each time. These days, doing that will get you knocked out of Google in no time. Before looking at the best places to get links, a word about where not to get links. Avoid "bad neighborhoods". These are sites Google associated with spamming places used only to get free links without publishing meaningful, original content. A few years ago, all of these techniques were standard SEO advice, which is why you still see them mentioned in out-of-date blog posts, but they should now all be avoided another site linking to yours or on your site linking to another site (except for banner ads and ad networks like AdSense). The chances are you already know the major sites in your niche through your interest in the subject and social network connections. But a few targeted Google searches will often uncover new sites to get links from. As well as searching for your main keywords, try related keywords. While not all those phrases are directly related to Italian cooking, you can see how visitors to a site about Rome would still be interested in reading about Italian cooking. For each new site you find, make a quick assessment. Authority sites tend to have been publishing for a while and have a lot of social shares and followers. Check for other signs of credibility. Steer clear of sites that have lots of spam comments, have more ads than content, or seem untrustworthy or spammy in some way. where you add further info not covered in the original post, or (in the case of a resources list) where you feel your site would be a valuable addition to the list. Suggest your link either through the post comments or by email via the contact page. In many ways, email is the better option. People don't always check their comments regularly but they're usually on top of their emails. You'll get the best response with an email that's quick and to the point. Just briefly explain what your post is about and why the site owner might want to link to it. Of course, it doesn't do any harm if you can show them a post where you have linked to one of their posts. Before emailing, read enough of their site to get a good idea of what kind of things they publish. use that knowledge to suggest areas where your content can fill in the gaps on their site. Try something like, "Loved your post on the '5 Best Free Family Day Trips in London', but have you heard about...."
Make sure you follow the site via social media and sign up for their mailing list so you can spot future opportunities.